The main Culture 2018 venues can be accessed through a dedicated shuttle, that has proved very popular with locals and Olympic tourists alike. It takes you to the beach areas, where two nightly shows take place (one dedicated to fire, another to the moon), as well as to the main site of the area’s contemporary Biennale (dedicated to exploring a ‘Dictionary of Evil’, quite an interesting choice, at Games time!). The shuttle also takes audiences to a selection of theatre spaces, where one of the top highlights takes place, what organisers name Korea’s response to ‘Cirque du Soleil’, including performances by the troupes who presented work at the Opening Ceremony. 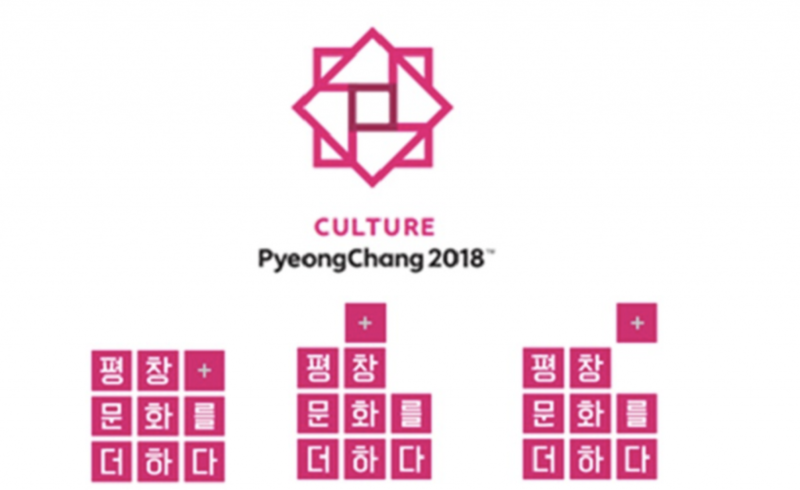 Pyeongchang 2018 is following on the steps of London 2012 by choosing hot pink as the colour of choice for its Cultural Olympiad. This is combined with a striking emblem, based on the Korean alphabet (‘hangeul’) which is representative of Korean cultural heritage. Every edition of the Games brings along a cultural programme. However, the cultural programme tends to be promoted outside the main sporting venues, focusing on traditional arts audiences & media as opposed to Games fans and sport journalists. In Pyeongchang, I have observed a clear committment to including Cultural Olympiad highlight brochures within all sporting venues information points. 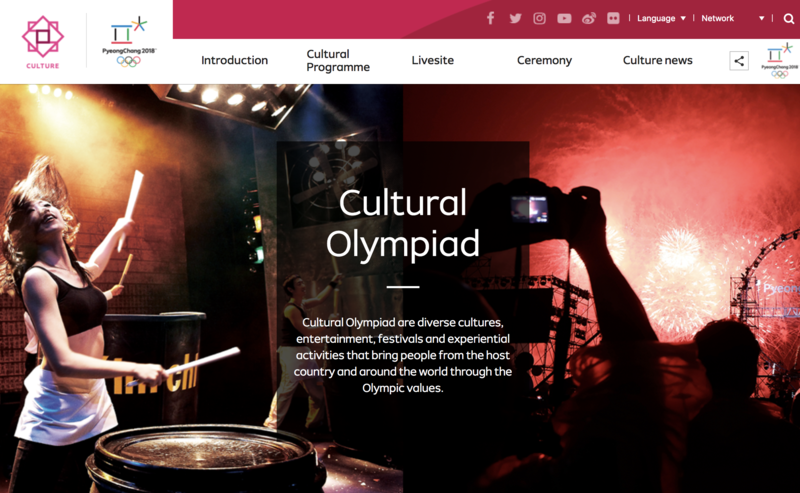 The programme that is promoted are the activities taking place within the Games arenas as opposed to the ‘Culture 2018 Plus’ programme. It is just a partial aspect of the Cultural Olympiad, but it is at least a visible dimension of these Games, with higher chances than other editions at being picked up by classic sport journalists. I will be assessing next whether any of these dimensions are being picked up by international media and getting include in the global narrative of these Games – or whether the Cultural Olympiad remains, as it is most commonly the case, a PyeongChang communities affair.